This piece originally appeared in Critics at Large December 28. 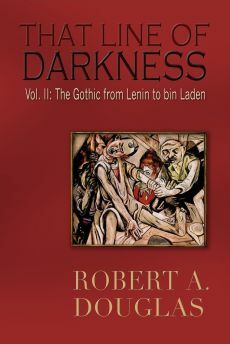 I include on this site because in That Line of Darkness: The Gothic from Lenin to bin Laden (Encompass Editions, 2013) I wrote briefly in the first of my concluding epilogues about the terrible effects of how the Nazi invasion of the Soviet Union affected the Soviet citizens already bludgeoned by the horrors of Stalinism. The first part of this piece – which begins with Bob's review of Sean Michaels' Us Conductors, a novel about Leon Theremin – was published here on Critics at Large on December 14. The piece continues here with a look at Sarah Quigley's 2011 novel, The Conductor. 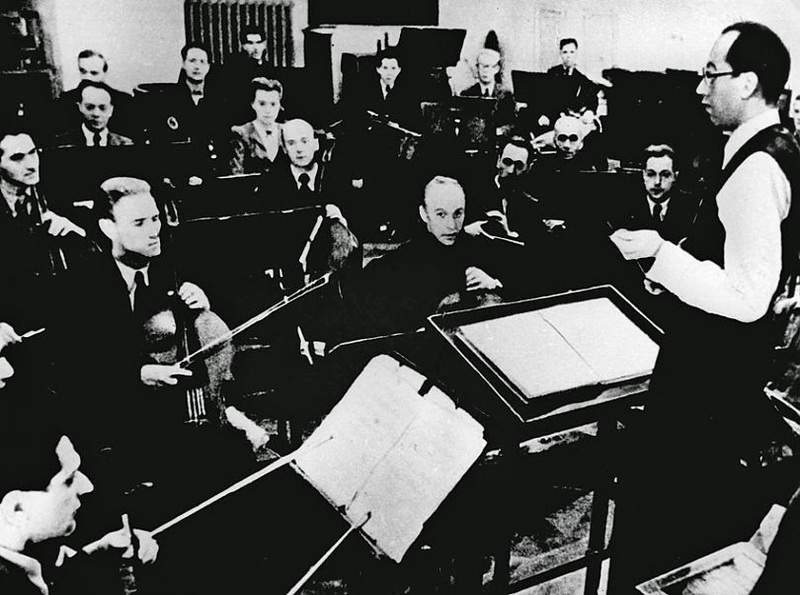 While Leon Theremin was working in the relative safety of a sharashka (a secret laboratory in the Gulag camp system), the Nazis surrounded Leningrad and cut its links with the outside world. The goal was to erase the city, in Hitler’s words, “from the face of the earth." The epic of the Nazis’ 900-day encirclement was a time of unimaginable horror: air-strikes raining down; bodies, often dismembered, frozen in the snow; neighbour distrusting neighbour; and people feeding on glue, sawdust, leather, dogs and cats, while others resorted to cannibalism. Most people attempted to subsist on less than one slice of purloined bread a day. Hunger alone killed 800,000 people by the time the Germans retreated. Leon Theremin poses with one of his inventions. There are two schools of thought regarding the writing of historical novels. The first and the most widespread belief is that the novelist should not knowingly violate the historical record but should use his or her imagination to consider what might have happened when no documentary evidence exists. 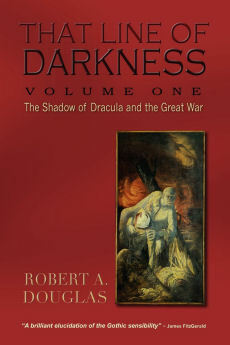 This might include the invention of fictional characters that are in a position to observe and recount the expressed feelings of historical actors; a writer can enter into their minds or flesh out the personalities and biographies of individuals when there is little historical documentation. The novelist in short can enter a domain from which the historian is excluded. 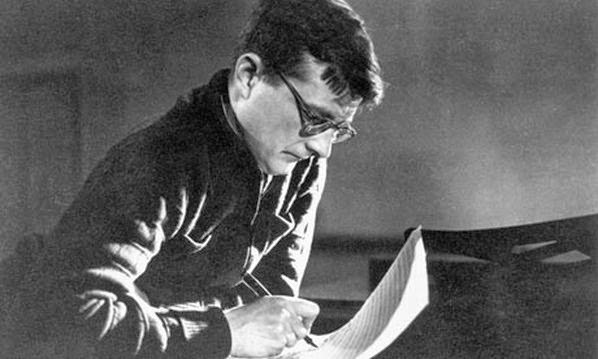 Sarah Quigley’s The Conductor (HarperCollins, 2011), the story of the preparation for the first Leningrad performance in 1942 of Dmitri Shostakovich’s Seventh Symphony in the besieged city, exemplifies this literary tradition and will be discussed in a subsequent review. A second perspective is that the novelist has every right to pick and discard from the historical record whenever it suits his purposes. Sean Michaels, a Montreal-based author who founded the music blog, Said the Gramophone, and the 2014 winner of the Giller prize for fiction for his debut novel, Us Conductors (Random House Canada), illustrates this iconoclastic approach. In his Author’s Note, Michaels explicitly acknowledges that his novel about the Russian engineer, physicist and inventor, Leon Theremin is “full of distortions, elisions, omissions, and lies,” making it difficult for the reader to know where the truth ends and the lies and omissions begin unless one reads Albert Glinsky’s Theremin: Ether Music and Espionage (which Michaels recommends for anyone who wants an accurate rendering of the life of Leon Theremin). Theremin is most famous for the invention that bears his name: an electrical musical instrument played by moving one's hands in the space between two antennae, one hand controlling the pitch, the other the volume. The theremin, forerunner of the synthesizer, was often used in soundtracks for science fiction films because of its other worldly sound, and an advanced version was used in the Beach Boys' “Good Vibrations.” I would recommend Steven M. Martin’s documentary, Theremin: An Electronic Odyssey and the CBC radio documentary “Out of Thin Air." The former highlights the theremin’s cultural applications and provides archival and the then-current 1993 footage of Theremin himself. The latter explains how the theremin operates and we hear some wonderful offerings by Clara Rockmore in YouTube performances and from a modern theremist. Most readers are unlikely to read the biography, or watch the film – which does contain historical inaccuracies and omissions – or may not even care about Us Conductors' historical shortcomings because, it is, after all a novel. But I do and that is why I am motivated to write this review.